Inflammation occurs when the body's white blood cells flare up to protect the rest of the body from infection. But sometimes, in autoimmune diseases such as arthritis, the immune system flares up and causes inflammation even when there is no invading body to signal a need for inflammation, says WebMD. Inflammation can also be caused by food allergies, stress and sitting around a bit too much. It is characterized by joint pain and stiffness and flulike symptoms like fever, chills, fatigue, headache, loss of appetite and muscle stiffness. 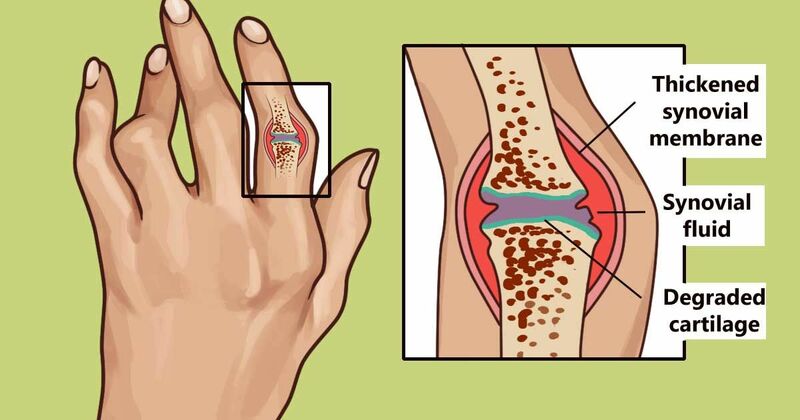 There are prescription medications to help with arthritis and inflammation, especially in severe cases, but natural home remedies have been used for over 3,000 years in India. Below are eight Ayurvedic (traditional Indian) remedies you can try at home! 1. Keep a stress diary. Ayurvedic medicine is all about treating problems at the source. This is why Spirituality Health recommends recording any time you feel stressed. When you feel stressed, your immune system triggers an inflammatory response. If you can figure out what causes your stress, you can work to decrease the triggers and thus reduce inflammation. Make a note of how your body responds to stress and when you notice inflammation. For example, is your body stiff the day after drinking a lot of milk? This often leads to the discovery of common food allergies, such as gluten, soy and lactose. 2. Turmeric. This classic Ayurvedic herb is famous for its anti-inflammatory properties. Spirituality Health says it is so powerful, studies show it is more effective in treating rheumatoid arthritis than are pharmaceutical drugs. Try it in curries, on eggs or dissolved in a glass of warm milk. 3. Ginger. This spicy root works miracles against joint pain because it is full of antioxidants and anti-inflammatory agents. Spirituality Health says it may be effective in increasing joint mobility, relieving pain, decreasing swelling and reducing morning stiffness. Get in the habit of drinking fresh ginger tea each morning. 4. Yogurt. The Chopra Center explains that 60 to 70 percent of your immune system is found in your gut. This is why it is essential you keep your gut happy and healthy. If your gut is unbalanced or upset, it will trigger an inflammatory response. One way to maintain a healthy gut is with probiotics, such as yogurt. 5. Sleep. When you don't get enough shut-eye, the body does not have time to repair and restore itself. This causes your immune system to go into overdrive during your waking hours, and this overdrive leads to inflammation. This is why The Chopra Center recommends sleeping seven to eight hours nightly to reduce inflammation. 6. Self massage. A soothing massage is a gift to yourself that helps you relax and works to decrease inflammation. Banyan Botanicals recommends giving yourself a 10- to 20-minute massage every single day. Rub your sore joints and achy muscles with 1/2 cup (120 ml) warm sunflower or coconut oil before taking a bath or warm shower. 7. Practice yoga, swim or bike. Banyan Botanicals recommends that people with chronic inflammation do moderate exercise that is soft on the joints, such as yoga, swimming and biking. Aim to exercise five times a week in the morning or evening when temperatures are cooler. 8. Coriander, fennel and cilantro. These herbs are all cooling and help reduce inflammation, explains Banyan Botanicals. They should be part of a diet that also includes naturally sweet, bitter and astringent foods. A good anti-inflammatory dinner is chickpeas cooked with turmeric and tossed with pomegranates, cashews, cilantro and coriander. These home remedies have worked for more than 3,000 years in Indian communities practicing Ayurvedic medicine. And they might work for you, too! What do you think of Ayurvedic medicine? Tell us and SHARE this article on social media!